A new study just came out in the FASEB Journal that looked at the interaction between polyunsaturated fat and the Peroxisome Proliferator-Activated Receptor-γ Coactivator 1-α (PPARGC1A) gene. 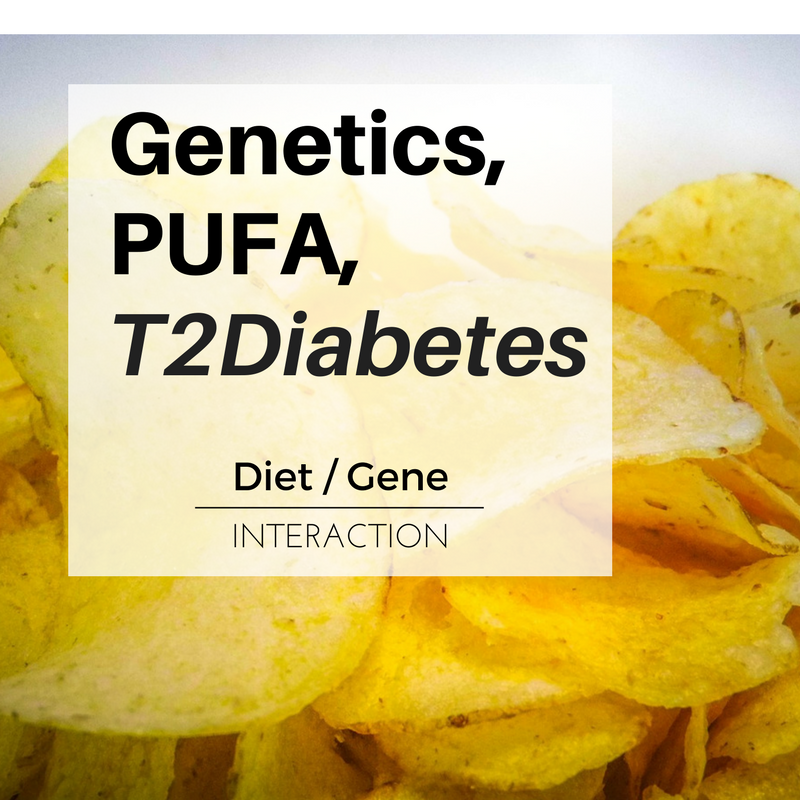 The study found that those with the minor allele (C) of rs4235308 combined with a lower PUFA (polyunsaturated fatty acids) to saturated fat ratio cut their risk of type 2 diabetes almost in half. Studies on PPARGC1A include those looking into its role in cancer cell proliferation[ref], aging[ref], and insulin resistance[ref]. A previous study that included PPARGC1A rs4235308 had shown a difference in risk for type 2 diabetes when segregated by population. In Haitian Americans, the SNP was protective against T2D, but in African Americans, it doubled their risk of T2D. [ref] To me, this makes me wonder how much of the difference in risk is due to different population genetics versus the cultural difference in food choices and PUFA vs. saturated fat ratios. So how does polyunsaturated fat vs monounsaturated fat fit into the picture? A monounsaturated fatty acid (oleic acid) was found to activate PGC-1a by inducing deacetylation. The study found “these results indicate that oleic acid, but not other long chain fatty acids, specifically induces PGC1α deacetylation in skeletal muscle cells through SIRT1”. Another study looking at the role of PGC-1a in mitochondrial biogenesis summed up the general role of fatty acids: “Recently, a link has been established between elevated fatty acids in muscle and DNA methyltransferase 3B (DNMT3B)–mediated methylation of PGC-1α promoter, leading to its repression with a subsequent reduction in mitochondrial biogenesis”.